The Thaipat Institute is a non-profit organisation established in 1999 to promote corporate sustainability and responsibility in Thailand’s private sector. 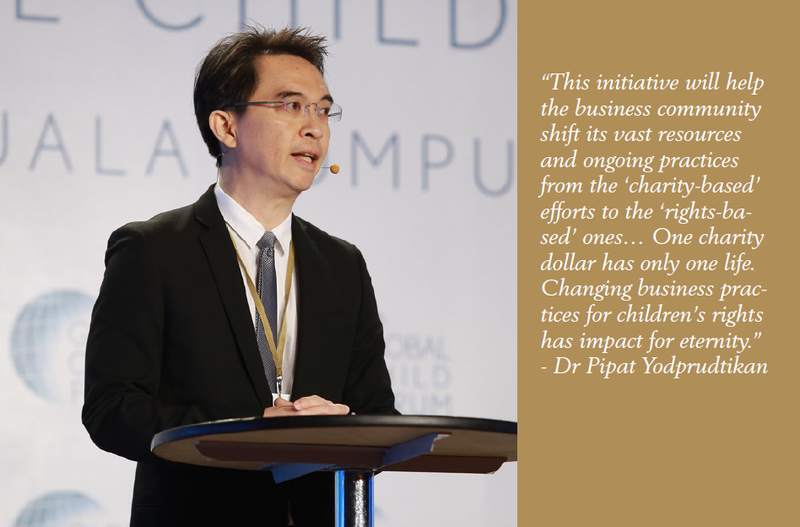 One initiative developed in collaboration with UNICEF, Child-Friendly Business, is a platform to promote the Children’s Rights and Business Principles (CRBP) in the local business community in Thailand. Dr.Pipat Yodprudtikan, Director of the institute, says that these types of initiatives contribute to SDGs, for example Quality Education, Decent Work and Economic Growth, and Reduced Inequalities. The Institute’s platform helps businesses implement CRBP effectively, comprising three stages: Commit-Act-Report. In the first stage, companies sign and disclose their statement of commitment, setting the tone at the top to lead the journey. The ‘Act’ stage calls on companies to use tools such as the Children’s Rights and Business Atlas (childrensrightsatlas.org) to assess their children’s rights risks and opportunities, identifying potential initiatives. In the last stage, ‘Report,’ companies record their sustainability reports on children’s rights based on the Global Reporting Initiative (GRI) framework. Here, companies evaluate their performance in implementing the CRBP through the GRI disclosures. To date, more than 30 leading Thai companies in various sectors have committed to understanding and being guided by the CRBP in their operations. Another 30 have agreed to participate in the second stage of the Commit-Act-Report platform where the Children’s Rights and Business Atlas tool, co-developed by UNICEF and Global Child Forum, was put into action at the company level. • Download the full forum report at Global Child Forum website. • See the initiative info at Child-Friendly Business website.